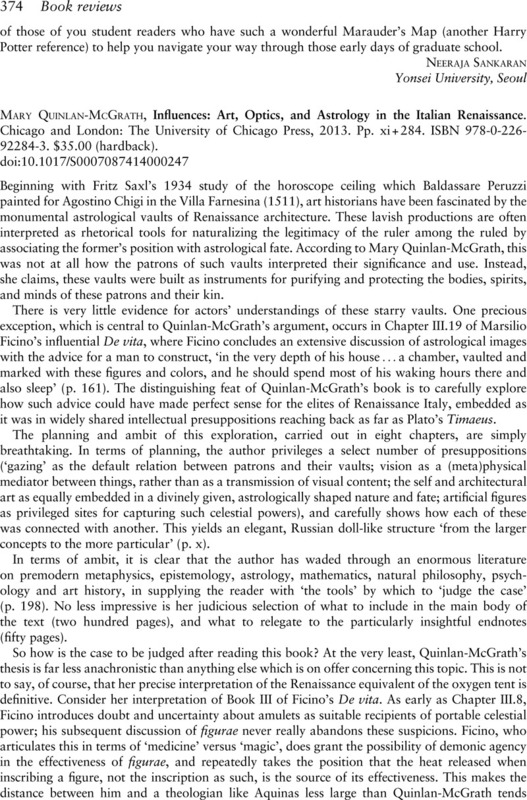 Mary Quinlan-McGrath, Influences: Art, Optics, and Astrology in the Italian Renaissance. Chicagoand London: The University of Chicago Press, 2013. Pp. xi+284. ISBN 978-0-226-92284-3. $35.00 (hardback).